Gabriel: What QB Should The Bills Draft? With the Cordy Glenn trade to Cincinnati that got the Bills the number 12 pick in the first round, word around the National Football League is that the Bills are still trying to move up in the first round to inside the top five. The hope is that with that trade, the Bills will just about land the quarterback of their choice. I say just about, because Cleveland will more than likely select a quarterback with the number one pick. Earlier, I felt that Cleveland would wait until the number four pick to take a quarterback but with the Bills on the move, Cleveland is just about forced to take a quarterback at one of they want the pick of the liter. Right now, it looks as if the Giants will pass on a quarterback at the two slot and take the best player available. If that is the case and the Bills can get to three or four they will have the second quarterback selected. Who will that be? Who knows, as we don’t know who Cleveland will select with the first pick. One thing we can be sure on right now. Neither Cleveland nor Buffalo knows who they want right now. Why do I say that? Because we are still three to four weeks away from the whole scouting process being complete. Until that happens, no decisions will be made on players. With quarterbacks, Pro Days are important but coaches and decision makers need a private workout in order to make a final decision. Why? Pro Days are scripted events in which the prospects quarterback guru runs the workout. The player will make a predetermined amount of throws and the idea is to show off the players strengths and hide his weaknesses. The NFL scouts and coaches have little say in a QB Pro Day. Things are much different in a private workout. It’s much more than a throwing session on the field. In fact before the coaches and player hit the field, they will spend hours in a classroom session. The classroom portion is not just football stuff but a very inclusive interview. The coaches and GM try to find out as much as possible about the player and build a rapport. Once the interview part is over, it’s football talk. The player will be asked to describe his offense and draw up some of the plays on the white board. He then will walk the coaches through the play as to the responsibilities of each player and what the QB reads are. When they are done with that the coach will draw up some of his team’s plays on the board and have the player take notes. When the coach is done he will ask the player to repeat everything he has learned and re-draw up the plays that he was just given. The purpose of all this is to find out the players knowledge of concepts and to see how quickly he can learn and retain. Once done in the classroom, they go out to the field and here the coaches want to see if the player can take what he learned in the classroom to the field and perform everything correctly. While the Pro Day is scripted and the player knows what comes next, in the private workout the player doesn’t have a clue what comes next and has to think and react. This is a very important part if the evaluation process with a quarterback. Once done with everything, the coaches have a better understanding of the player and also a strong feeling as to if they want him on their team. Still they can’t make a final decision until they go through the same exercise with each quarterback they are interested in. Once done with all the workouts, they will have a fairly good idea as to how they will rank the players on their draft board. From looking at tape and talking to scouts that I trust who have made school calls, I have my favorites as to who the Bills should select. My opinion doesn’t matter though and the only opinion that matters is the Bills decision makers. In this case it will be General Manager Brandon Beane, Head Coach Sean McDermott, Offensive Coordinator Brian Daboll and Assistant General Manager Joe Schoen. This group will talk about each of the players involved and come up with a collective decision. Since the group as a whole has done a very good job with personnel matters in the last year, we should trust their opinion regardless of what we think. They have done a lot more work on the subject than any of us ever will. 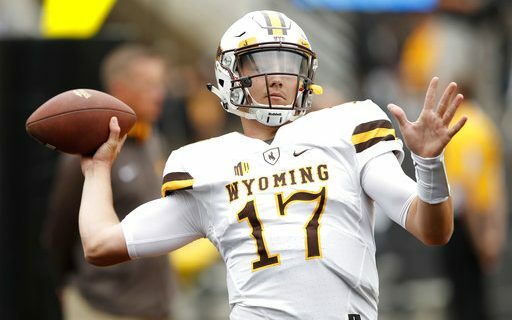 Come April 26th, like it or not, one of the group of Josh Allen, Josh Rosen, Sam Bradford or Baker Mayfield will be a Buffalo Bill and the player who is expected to lead the Bills to the promised land.